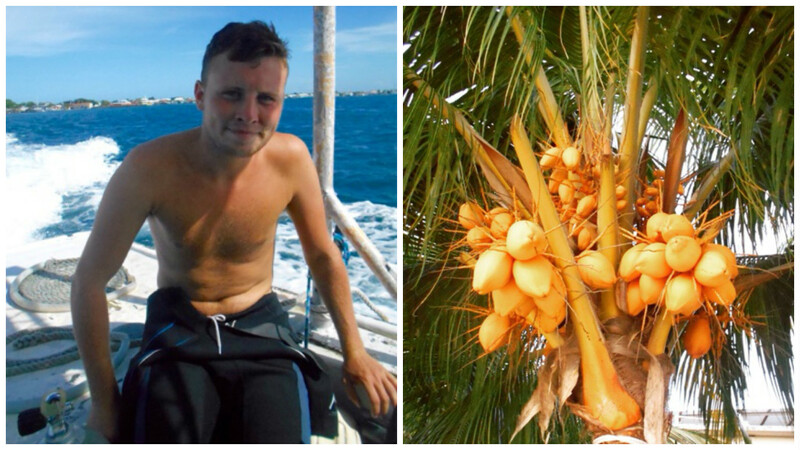 Island life played a big part in the majority of my decisions during my trip to Central America. 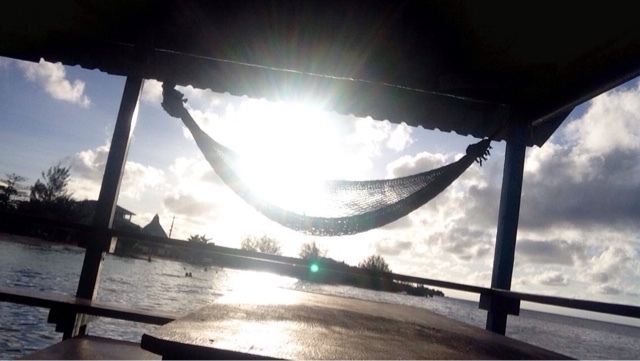 Island life in Utila, Honduras was something I had wanted to experience since first reading about The Bay Islands. Honduras in my Lonely Planet but we never actually committed to the trip to Honduras’ Caribbean coast. During our time in Central America we did end up sacrificing some destinations, but Utila, Honduras would not be one of them. Obviously, during long-term backpacking, routes change and we somehow unplanned and spontaneously ended up on a very long bus from San Salvador, El Salvador to La Ceiba, Honduras with one island in mind – Utila, Honduras. For most arriving on The Bay Islands is a lot of effort, especially from San Salvador, as we learnt. The Bay Islands and Utila in particular are off the beaten track and you have to arrive via either of the two cities in Honduras that are regarded as ‘world’s most dangerous’. It took us a few long, sweaty busses through this deemed risky country and a stop off in a sketchy bus station for a few hours in the murder capital of the world to get to Utila. But like most places in this part of the world the stress of getting here all becomes a thing of the past once you actually arrive. Once in La Ceiba take the Utila Princess, which is the regular ferry service from La Ceiba to Utila. The crossing doesn’t cost much (around $25) but it takes an hour and you are likely to vomit so be prepared for that journey. Let me explain briefly The Bay Islands of Honduras’ Caribbean coast. 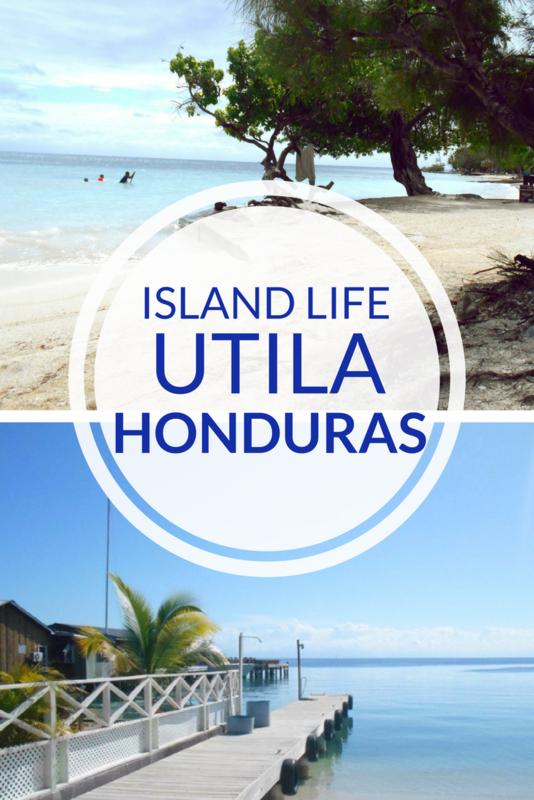 There are 3 islands in total and our prefered island of choice is the little slice of heaven that is Utila. Roatan, is the biggest of The Bay Island archipelago and extremely popular with holidaying American. For that reason alone we decided to give it a swerve. Utila, is informally known as a driver’s paradise because of the spectacular reef systems and ability to get your PADI for cheap. Utila, Honduras is in the most beautiful Caribbean island setting. The small island of Utila boasts a crazy culture mix up and fusion and a lot of the time you don’t really know where in the world you actually are. Remove the deadly tuk-tuks and quad bikes from the singular paved road in town and the island of Utila truly is a picturesque island dream, completely rich with its own mash of cultures and customs. Utila, Honduras is a tiny little slice of Caribbean island paradise. Its funny but on Utila there’s not a piece of colonial Spanish architecture in sight, there’s no Central Park or Plaza, no grid like streets, just simple, tranquil(-ish) island living. No churches to see, definitely no markets to explore, no unique cuisine to sample, nothing of great importance really to do or see. Utila could not be any more different to your typical Central American destination and that was okay for us. 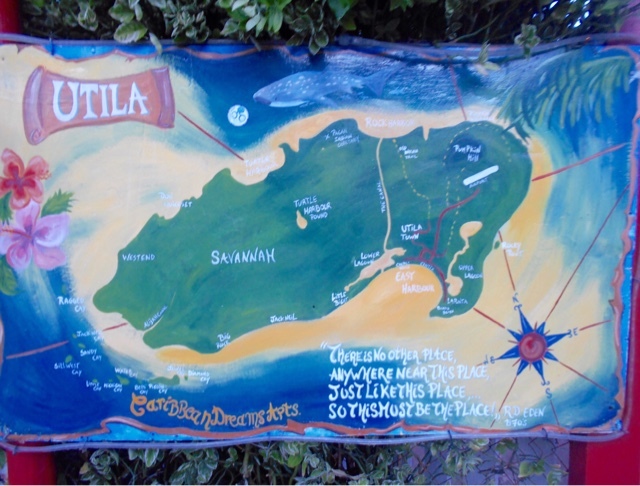 Utila became our Caribbean holiday whilst in Central America for 3 months. What a delight to step away from the Central American sounds, scents and sights and welcome ourselves to the Caribbean. I’d expect Belize to be pretty similar if we hadn’t skipped it. Maybe I’m over analysing Utila here and okay, the island is probably a tad too ‘americanised’ by anyone’s standards but there’s plenty of island to see and plenty to escape to and if you’re happy to walk then you’re in for a real treat. The sights are simple, architecture that makes you question whether you’re in Honduras, accents and languages that make you ponder historic events. There are so many Caribbean influences in Utila, it almost reminds me of the lazy lifestyle feeling I felt about the Cuban people. The island has a whole load of love, soul and passion, everything going on is unique and filled with purpose. Every snack bar, every shop and every hostel and although there are tourists everything feels much more long term on Utila and I’m getting to the reason why. I’ve mentioned this strange travel-changing and I’d say, life changing thing Utila has to offer its guests and inhabitants and I should probably get to the point. Utila gave us another element to our travel life through diving. Yes, the island is stunning and embodies everything it means to be Caribbean but there’s a simple answer as to why so many people brave the frightening one hour long ferry from La Ceiba to Utila and it’s to get their dive on. Funnily enough, we didn’t know this when we arrive and like I say I only managed to do some brief research on The Bay Island’s pre-trip so I’m guessing that’s why. The Bay Islands are incredibly famous for diving, I feel silly for not realising this sooner and heading to this section of the Caribbean with no real clue but there’s no better way to learn than through just turning up sometimes. I recently heard that The Bay Islands and Utila in particular now certify almost as many people as the various Thai islands and that’s impressive considering its size of little Utila. 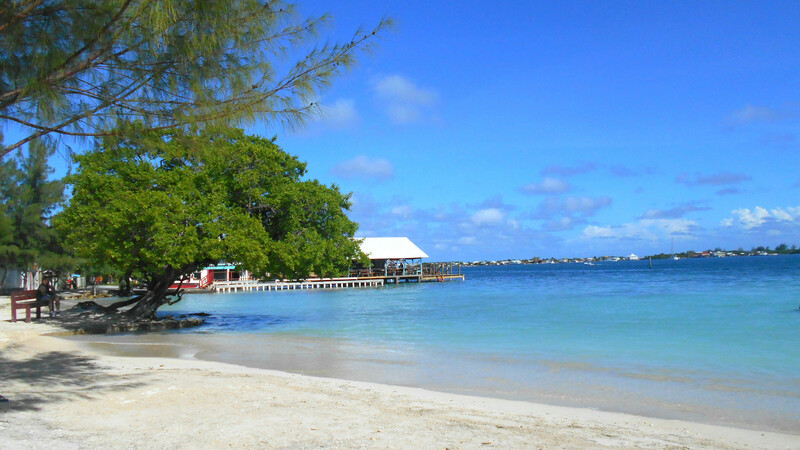 It’s also (apparently) the second cheapest place in the world to get your PADI and I guess along with its looks and vibes diving is what keeps attracts tourists to Utila year round. I read that the reef system here is one of the best in the world after The Great Barrier Reef and although I’m yet to see that one, I can see why they say that. 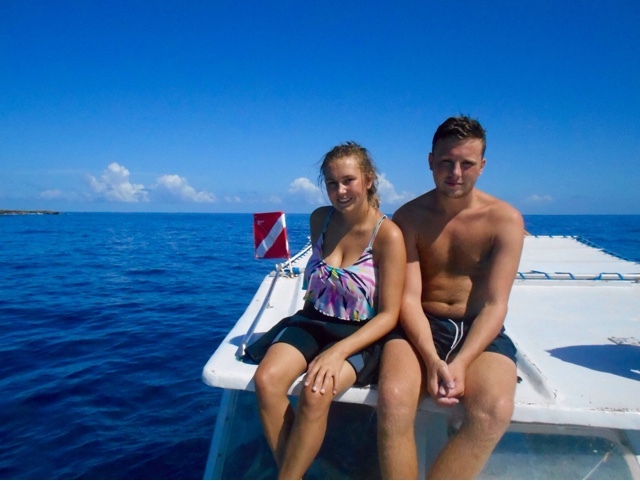 With Honduras being one of the cheapest places in the world to do a PADI Open Water Dive course we felt it would be extremely foolish not to indulge. Probably our biggest splurge of cash so far and worth every last lempira. 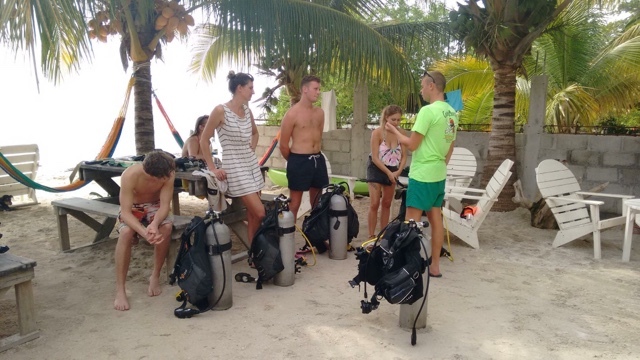 The Open Water Diver course takes four days and sets you back a couple of hundred dollars but afterwards you’re a PADI Open Water Diver fully certified to 18 meters for as long as you’re still able to dive and we get to say we managed to get ours on the beautiful Bay Islands of Honduras. 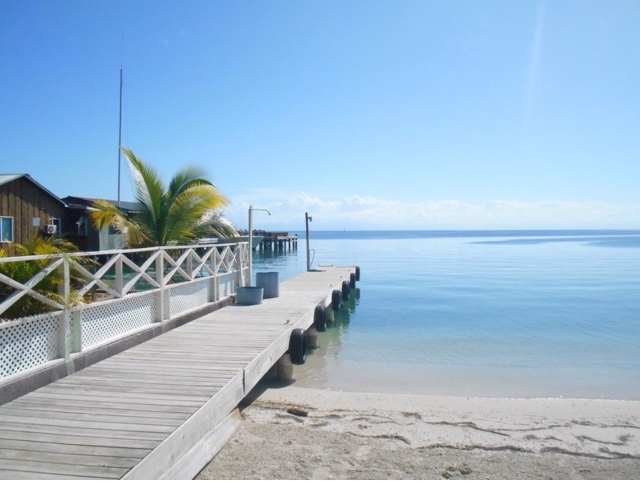 We chose Captain Morgan’s Dive Centre, Utila due to price and fun factors. 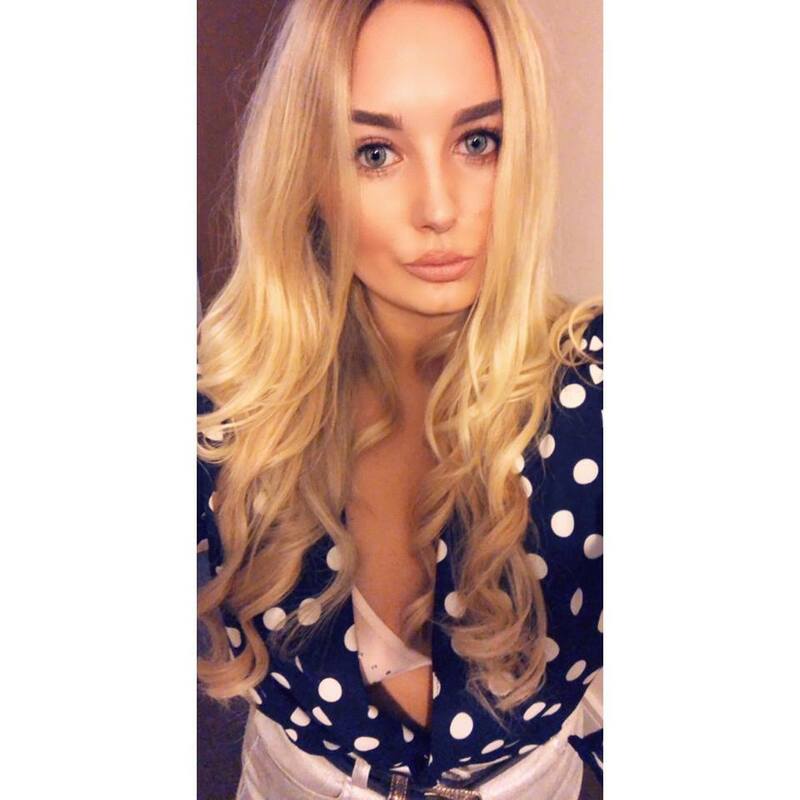 Such a social place to be, always activities, BBQ’s and beer pong going on in the garden and great food options for budget travellers. Our course included two free fun dives once all the course stuff was done with and free accommodation in one of the cosy dorms, Captain Morgan’s also sells itself on the fact it’s the only dive school on the island with a private beach and you know how I feel about beaches. A heads up about the sand flies could’ve been nice but sometimes you win, sometimes you learn. Diving wasn’t something we had considered although several people along the way had prompted us to at least think about it and after two or three days of debate we took the plunge. No literally. After our exams and what feels like an eternity of videos to watch we were able to share some of the most breathtaking (no literally) experiences of our life with the crystal blue warm waters of the Caribbean. To top all off all these amazing things and round up this spectacular experience in Utila our trusty dive boat captain found us a pod of 100+ dolphins on our last fun dive and our dive master allowed us get in. Snorkeling around the boat looking down into the depths and knowing that somewhere close there’s the edge of a tectonic plate made this experience all the more surreal to me. 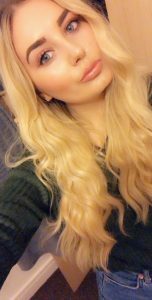 20, 30. 40 and more dolphins playfully dancing around you so intelligent and aware of your fear and excitement. In the water with all these amazing creatures really was one of the greatest experience I’ve had on this trip and in my life. To take an experience like this away from a dive course literally makes me reconsider not doing the whole thing earlier. Swimming through reefs and witnessing another world on the floor of the ocean gives me a whole new outlook and appreciation for the world in which I live in. It has definitely changed my perspective on a lot of things and I think the real moral of this story is always be prepared to do something you never thought you would do. I’m still coming to the realisation that something so magical happened to me whilst I was doing something so magical. It is crazy writing this with so much nostalgia because I know I mentioned we were thinking of skipping The Bay Islands, but now thanks to our trip to Utila we have something special that will give us a whole new element to all our travels. Diving really does open up your eyes and bring a new dimension to travel. There’s a whole new world down there, you just gotta be prepared to explore it. Its strange unless you’ve seen it but world truly is a different place when you’re below the surface of such vast waters. It’s a spectacular thing to experience and I’d recommend it to anyone who’s considering or not considering just like we were. If you’re unsure about the Bay Islands don’t be, if stories of the ferry and descriptions of directions are putting you off then don’t let them. Go and most certainly dive whilst you are there if you can and if you can’t, find a way! I honestly couldn’t picture a more perfect setting to learn and have this experience in. I also fully recommend Captain Morgans. Sandflies – Beware of itchy itchy sandflies, you may think you haven’t been bitten, but you have. Captain Morgan’s has a private beach on Utila and the sandflies are rife. 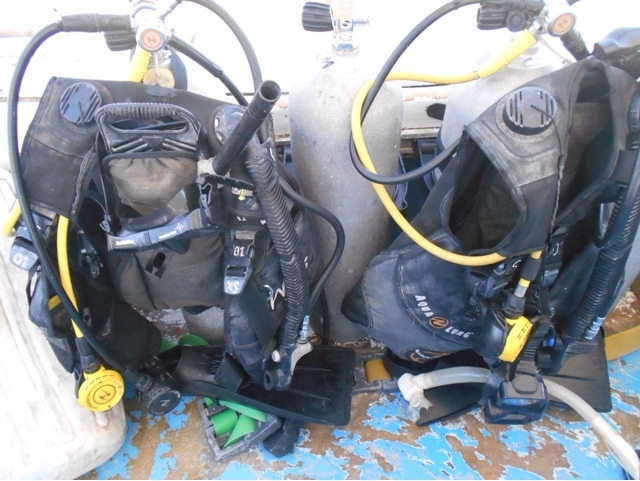 Dive Schools – At most dive schools on the island if you’re diving you stay for free. Some even include breakfast. Treetanic – Once you hit The Bay Island remember this name, ask around, find out where it is and you won’t be disappointed. I don’t want to give a miss but it is a Utila staple. Hummingbird Heaven – Utila, Honduras of The Bay Islands is home to some great wildlife. If you want to watch some hummingbirds fill a small bird feeder or a home made bird feeder with water and sugar and watch the tiniest of hummingbirds fight over the last drops. I've actually never been diving before, but I've been dying to swim with dolphins! Honduras looks absolutely beautiful! The Dolphins were incredible. We just stopped the boat and there happened to be hundreds. I was terrified at first but they are so intelligent they just swim past you!